A quick and healthy side dish that can be made in less than 15 minutes! 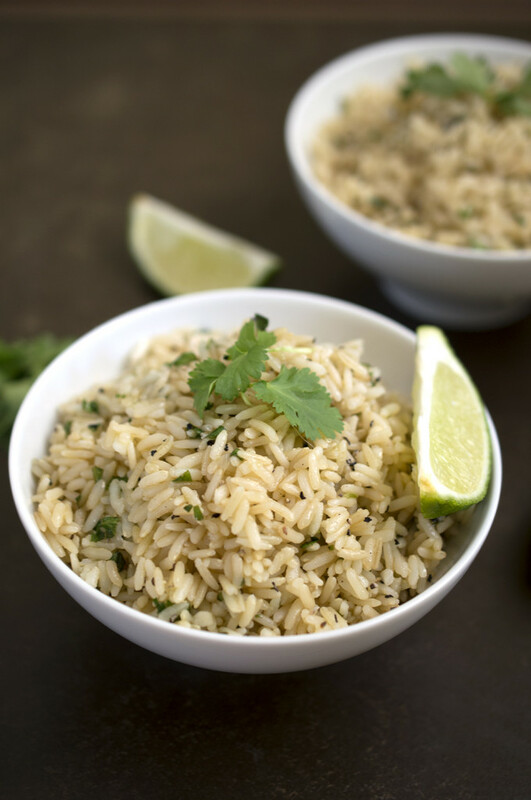 When I am in need of a quick and easy side dish for a weeknight meal this cilantro and lime brown rice is always my go to. It’s healthy, fresh, and fast. 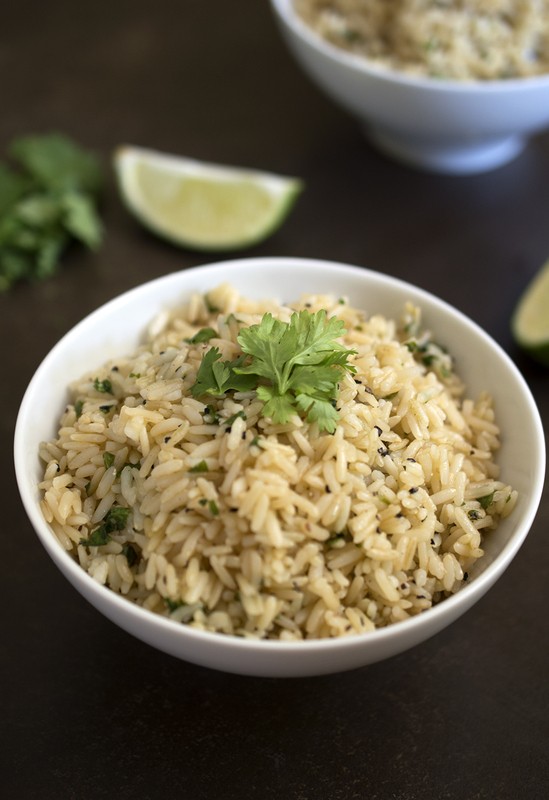 I added brown rice, fresh squeezed lime juice, and fresh cilantro to make this a light dish to complement any meal. This recipe is not loaded with tons of butter or oil. 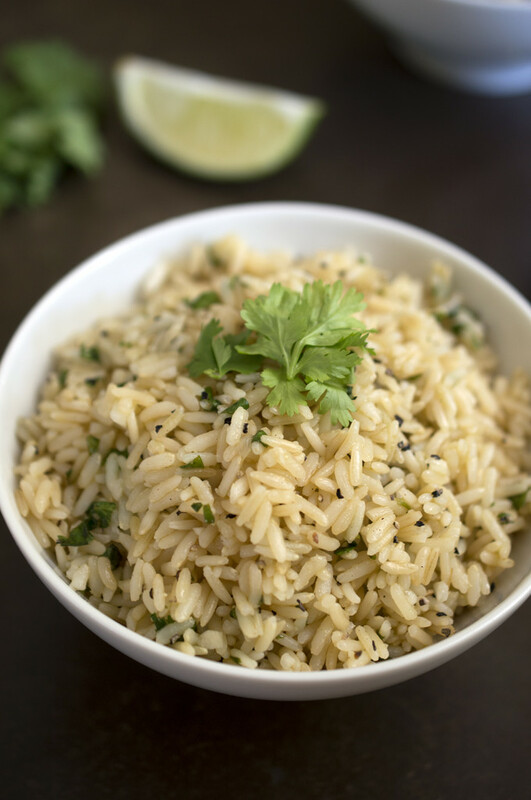 Only a few ingredients are needed to make this rice amazing. Brown rice is now a staple in my kitchen. It is easier for your stomach to digest and unlike white rice has a quicker cooking time. 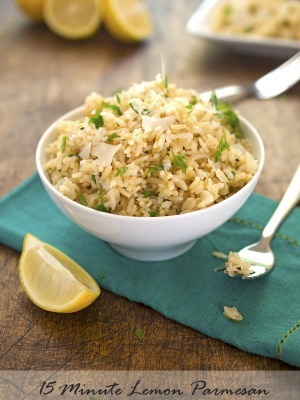 If you are not a fan of brown rice you can always substitute white or jasmine rice. Alot of times the simplest recipes are the best. 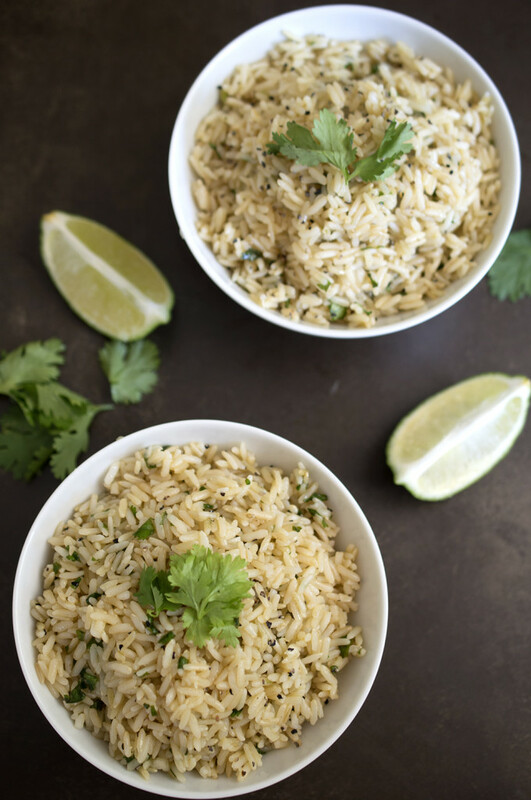 This rice is loaded with tons of cilantro and lime. 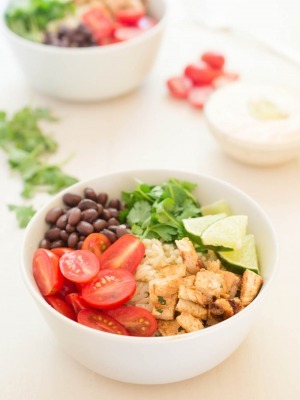 It is so simple, yet very flavorful. I cooked the rice in water but I would recommend boiling it in chicken or vegetable stock to add even more flavor. 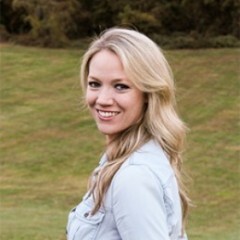 This rice is similar to the one you find at chipotle nestled in your burrito or as I like it on top of my burrito bowl. I usually serve this rice with grilled chicken, fish, or sometimes on top of a salad with grilled chicken. This healthy cilantro and lime brown rice is so easy to make. While the rice is boiling throw together the lime, cilantro, and olive oil. Toss the cooked rice in the vinaigrette and season with salt and pepper. Done! Cook brown rice per packaging instructions. If you do not have boil in a bag rice you can always use regular stove top brown rice. While the rice is cooking, add garlic, lime juice, and oil to a medium bowl. Whisk to combine. Add cilantro and cooked rice to the vinaigrette. Toss to coat. Season with salt and pepper. So easy – so delicious – the perfect accompaniment to grilled chicken and asparagus on the back porch yesterday evening.